With Holi celebrations on in full swing, it is also time to welcome happy, bright and super hot days of summer. Plus, the much awaited long weekend is here. I am quite sure that most of you based in Mumbai have had enough of those Pune / Lonavala one day trips with family, gorging on chocolate fudge or perhaps, taking selfies at Shaniwaar Wada. Oh, and those visiting the city for a Mumbai Darshan, aren't you tired of just checking out the huge gate outside Mannat already? There is something better waiting for you just a few kilometres away from Mumbai (and for those residing in Pune, the same goes for you). The perfect escape for all those water babies, who want to enjoy a day out and return home with memories to last a lifetime - Aquamagica. 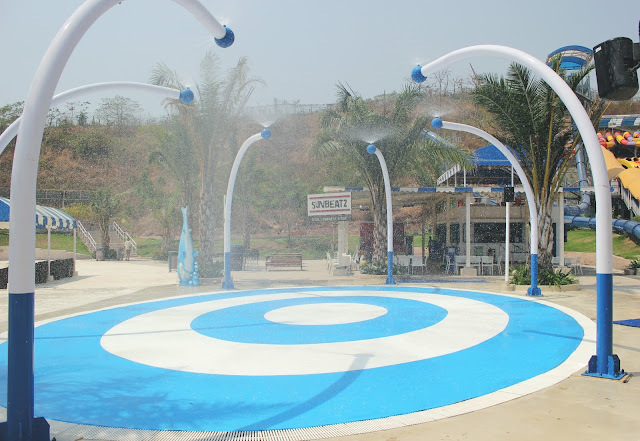 Just 90 mins away from both Mumbai and Pune and off the Expressway, Aquamagica is a beautiful water park, complete with some of the most exciting rides. The variety of rides and ample space to relax in between all the fun makes Aquamagica perfect for families and large group of friends. Plus, they have got three in-house stores that help, in case you are not carrying the required gear to enter the rides. 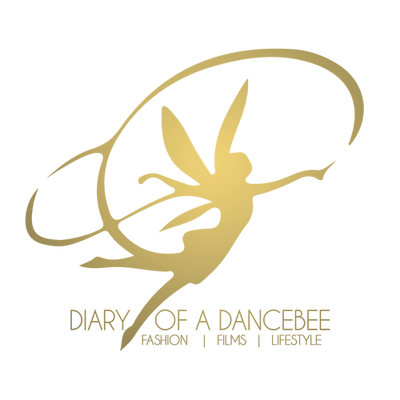 Team Dancebee was invited to visit Aquamagica earlier this month and must say, we had one helluva amazing experience. Well, our pictures speak louder than words. Within minutes after buying tickets, the cable cars transport you to the world of Aquamagica, which is located on a hill. This super short ride gave us an incredible view of the entire Adlabs Imagica property below. The cable car ride, a quick 2 min walk and ticket checking later, we were welcomed to the in-house merchandise and apparel store, which is situated next to the huge changing room area for men and women. We liked how the maintenance staff took great care of the visitor's requirements and also kept the rooms, shower cubicles and washrooms super clean. Despite the weekend rush, there was enough room for everyone. To avail locker facility, you can pay a nominal fee and keep your valuables secured. Once you are done changing, you are all set to enter the world of fun. 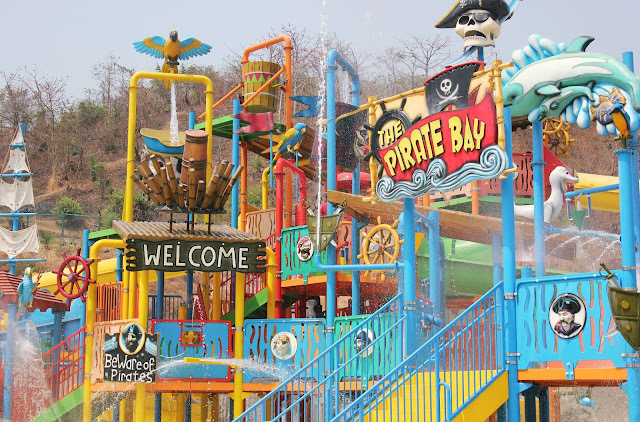 Rides | The Pirate Bay is a hit with parents and children alike, especially the pirate water bucket. 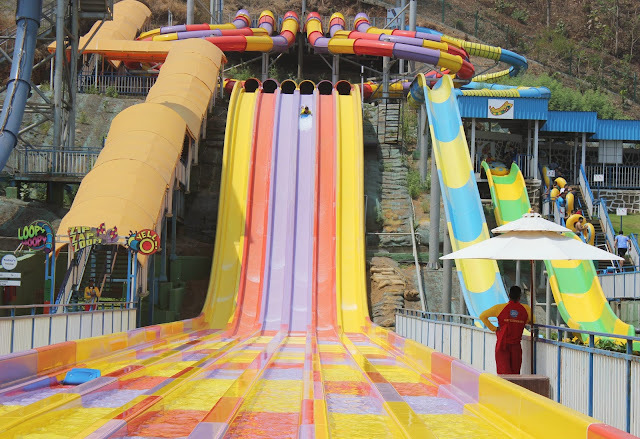 The slides are great fun and we spent almost 20-25 minutes taking a spin at each one of them, back to back. 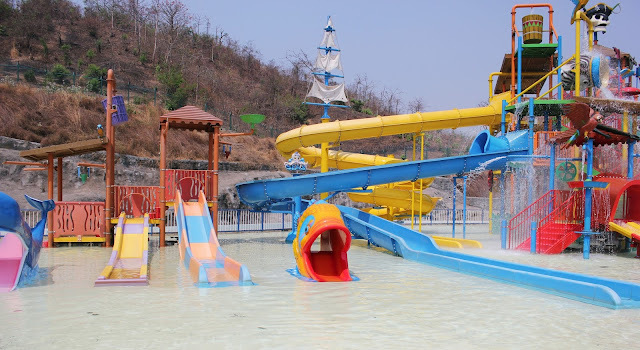 There are some adorable rides reserved for toddlers and little kids as well.As you walk ahead, you come across some more thrilling and adventurous water rides. Some of the most popular ones include Loopy Woopy, Zip Zap Zoom, Boomeranggo, Yell-O and my most favourite - Swirl Whirl. Both Loopy Woopy and Swirl Whirl look super scary, but leave you flying on cloud nine with a crazy high! Boomeranggo was great fun, and we ended up taking this ride up almost 5 times. The queue outside both Soakerz and Twisty-Turvy was super long. Unfortunately, we had to give them a miss. Personally, I had a gala time screaming my lungs out while enjoying some of these super thrilling rides. Unfortunately, it wasn't possible for us to get clicked in all the rides. But hey, I must say - it was pure cray! 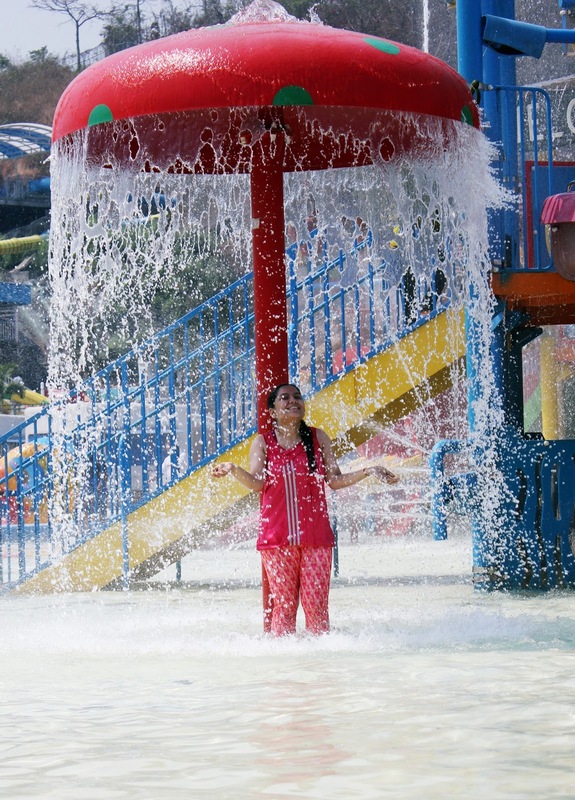 We love how all the rides are well guarded by the staff and provide excellent security. Each ride is monitored by a group of well trained guards and they make sure all the rules are followed by an individual before enjoying the ride. Safety first, always! 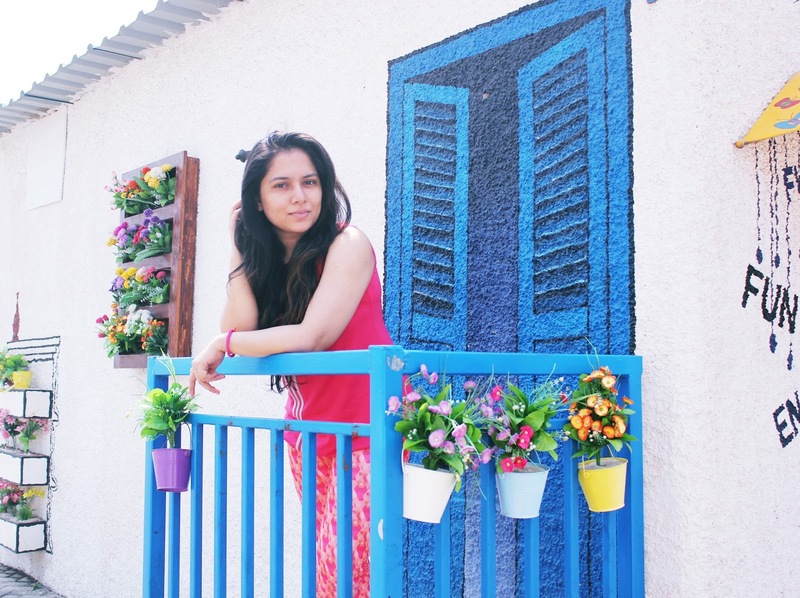 If going adventurous is not your thing, don't fret! There are many other rides that will keep you entertained. A little ahead of Loopy Woopy comes the much loved Wacky Wavess, where you can spend hours enjoying the artificial waves, with some super awesome music playing in the background. I loved spending sometime at Wacky Wavess, enjoying the great music and shaking a leg in the artificial waves. Trust me, it's great fun. 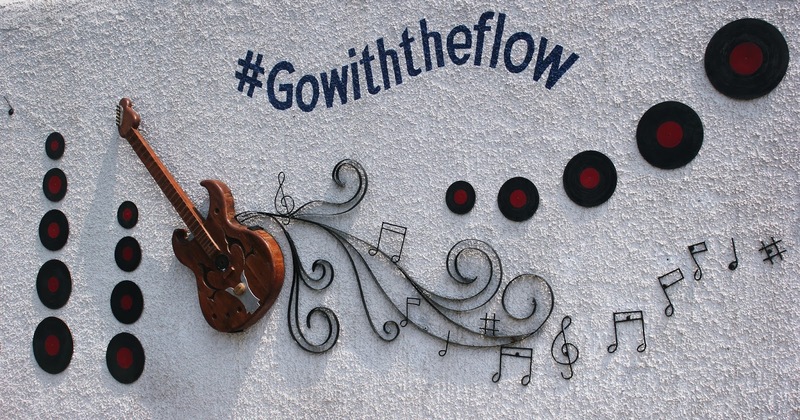 For those who love some lazy moments and want to catch 40 winks while floating on a long stream, there is Floatsa. Here you can float for several minutes on an individual tube, enjoy the lazy river and soak in the sun. There is also a separate area for those who love 'dancing in the rain'. Yes! 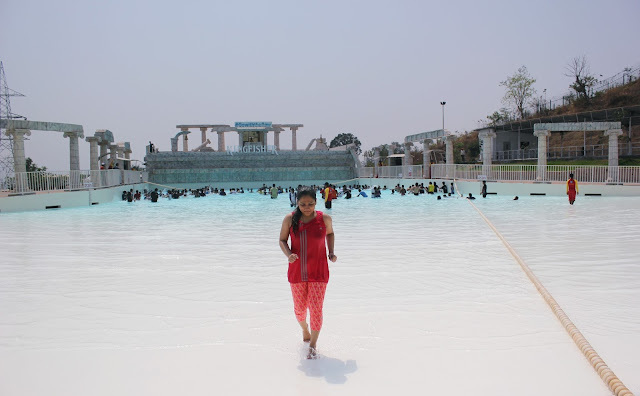 Rain dance is the ultimate place for those who can't stop shaking a leg, while enjoying the cold water drizzle. Food | After all the adventure, you are bound to pay some attention to those hunger pangs! Aquamagica houses various restaurants, shacks, cafes and stalls, that serve various cuisines - right from Indian to Italian and Mexican. 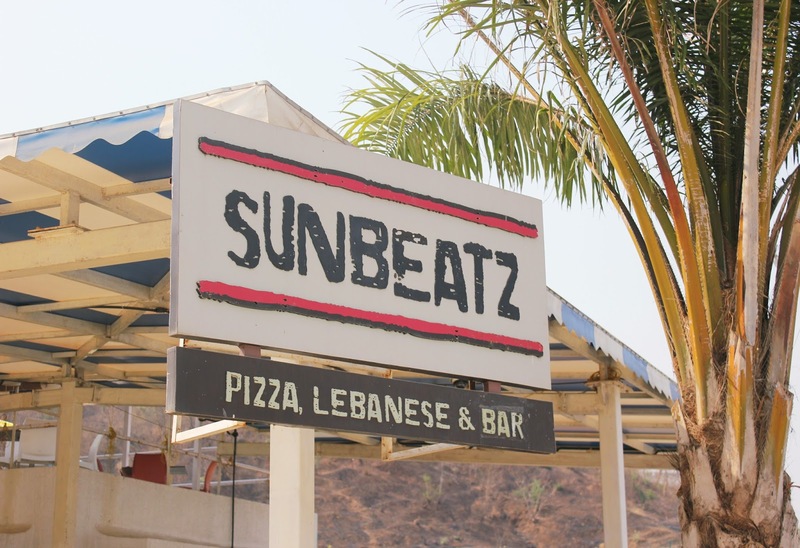 We liked the Pizza slice served at Sunbeatz - a pizzeria located right next to the rain dance area. While the restaurant also had Salads on the menu, it was unavailable during our visit. Ammos has some decent variety of Indian dishes, including Jain options. For those who prefer a heavy lunch can opt for the unlimited Aqua Lunch buffet available near Ammos (Aquamagica main entrance) for a decent cost. All the restaurants have dishes that are decently priced, but we personally felt that they can do with some more variety. All the restaurant areas provide good shade and perfect to catch up on some conversations over food. With great connectivity by rail, road and air + some super innovative rides, Aquamagica is the perfect place for families to bond and spend some quality time together, away from the humdrum of the city. In fact, they even have some exciting activities planned for Holi today. 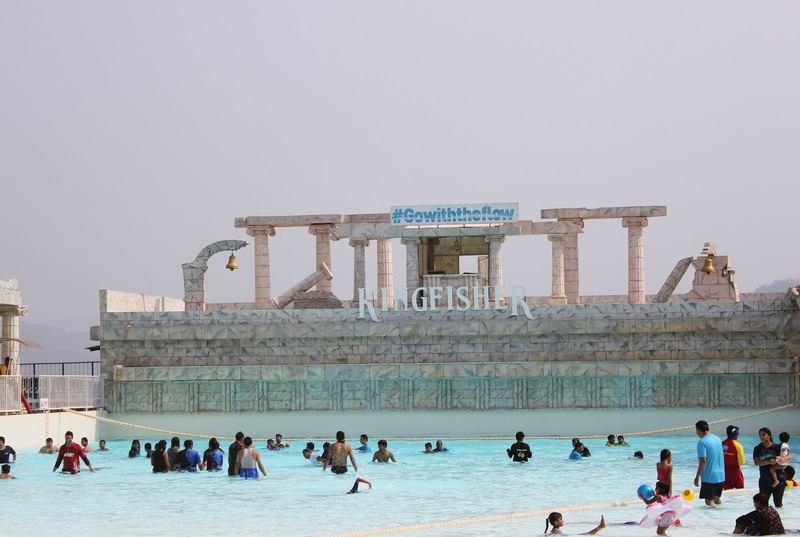 For all those who love water and don't believe in wasting it by planning a 'water wastage dance show' in their societies, head to Aquaimagica for a fabulous experience. We had a wonderful time being our water loving self in the magical world of Aquamagica, and honestly, I can't wait to get my entire team for a bonding session now (Oh! They have corporate booking offers too). Carry a pair of beach flip flops. The floor gets super hot and unbearable from 11 am to 4:30 pm. Do not forget your sunscreen. Golden rule. Period! Carry appropriate swimwear. Unless you plan to buy something from the in-house store. Got an injury? Ensure you get a clearance from the doctor, before enjoying any ride. By Road - 75kms drive time from Mumbai / Pune. Situated near Pali Road, a little off the Express highway. By Rail - Nearest local station is Khopoli. Hop into the free shuttle bus provided by Aquamagica at Khopoli. Aquamagica also offers third party A/C bus and car packages. We personally prefer the latter, because the former is disorganised offering by Neeta Travels. During our trip, we had originally booked a bus ticket (only on being told that the bus would be an A/C Volvo), but what turned up was a rickety non a/c mini bus by some Vinayak Travels. Thankfully, the Aquamagica team was super prompt in making the changes and our car arrived well in time. Too bad, Neeta Travels just lost our trust. Ticket Rates: Rs 899 on non-peak days, Rs 999 on peak days (follow Aquamagica on social media for exciting offers and keep an eye on their official website as well). Psst! They even have a pre-holiday offer and a special Student discount, which is valid up to March 31. 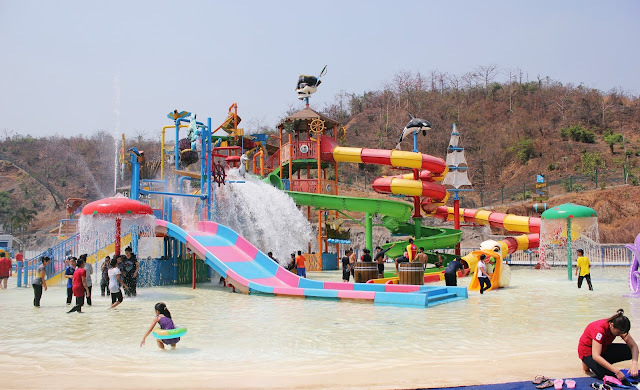 Verdict: Clean, well guarded, packed with some crazy rides and super exciting, Aquamagica is the ultimate family destination for all those who love water rides. Make the most of your holiday by enjoying a day out at this amazing water park. This summer, Aquamagica is the place to be!